Spend special time with children. 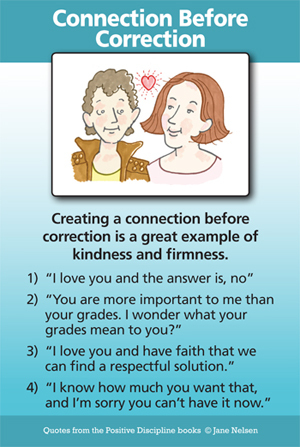 What could create a greater connection for your child than to know you enjoy spending time with him or her. Two great methods for finding solutions are family meetings or class meetings and joint problem solving. These are powerful tools that respectfully involve children to learn and use their personal power in contributing ways. Connection is created as part of the process.